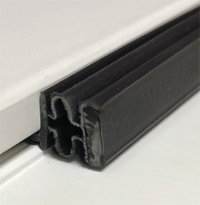 Weatherstrip creates a positive air seal between the door and the door frame. 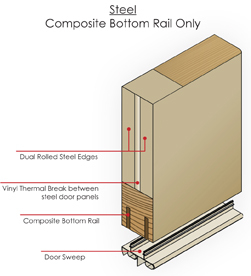 Lining the top, lock side and hinge side of the door, the weather strip ensures that your door does not leak air, either from outside in or inside out providing you with a greater amount of energy saving insulation. 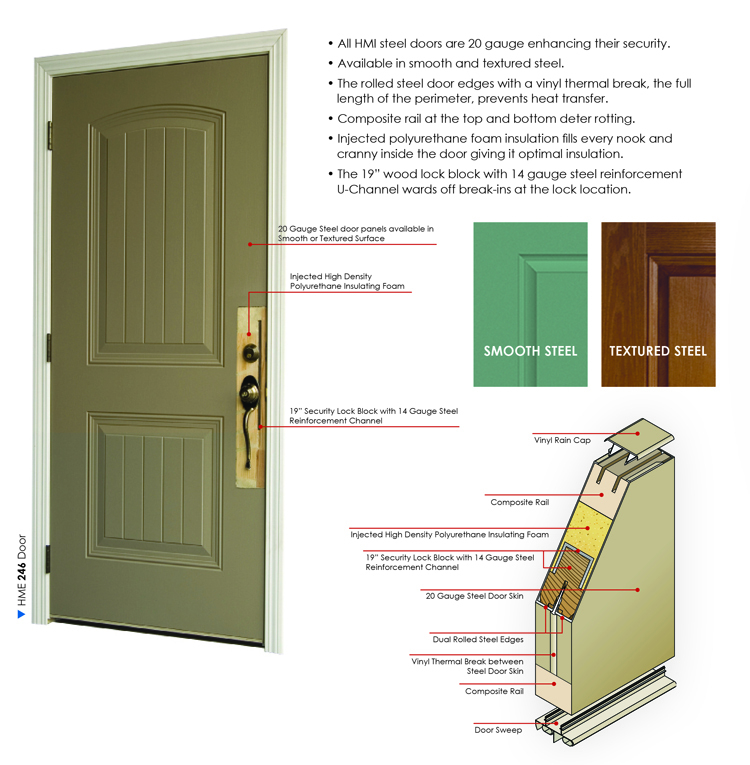 These heavy duty, highly durable hinges help prevent intruders from breaking in your home by locking itself in position with a small interlocking nib that doesn’t allow intruders to slide the door apart from its corresponding hinges. Aluminum in itself is a great conductor of heat and cold. But with HMI’s thermal break this isn’t the case anymore. 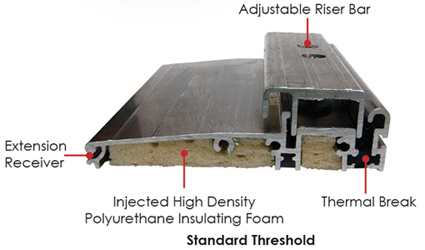 Between two pieces of durable extruded aluminum threshold is a strip of insulating plastic polymer that completely separates the two pieces in order to prevent the transfer of heat or cold between the indoors and outdoors.